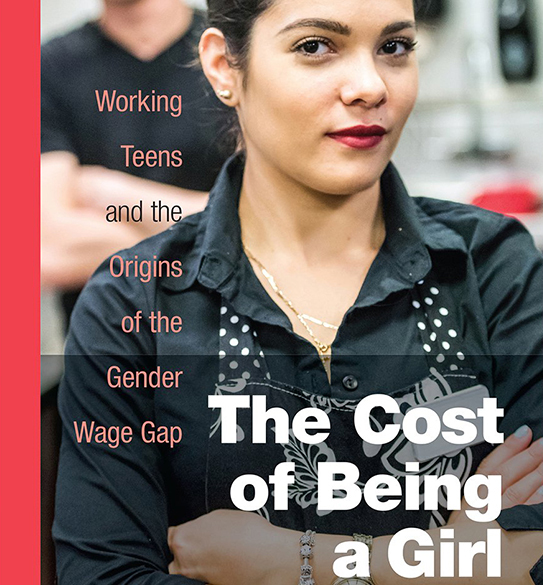 Montclair State University Sociology Professor Yasemin Besen-Cassino discusses her new book, The Cost of Being a Girl, which explores the roots and effects of the gender pay gap–that roughly 20 cent-per-dollar distance between men’s and women’s earnings–on TUTV this Thursday. Her research, recently published by Temple University Press, reveals how surprisingly early the wage gap starts and how much teenage work experience affects adult careers. By centering on girls and young women, Besen-Cassino filtered out factors that comes into play in peak earning years, such as childbearing and household responsibilities. It has been praised by Publishers Weekly and London School of Economics Review and was featured in the Washington Post, the Guardian, MTV, CNN, and the Philadelphia Inquirer, among many others. Tune in to TUTV on Thursday, December 6 at 1 and 9 p.m. to see a talk with the author from October hosted by Temple Library.